In a major set-back to the cricket fraternity, the Lodha Committee has proposed suspension of the Chennai Super Kings and the Rajasthan Royals' franchise for a period of two years, apart from banning Gurunath Meiyappan and Raj Kundra for life from being involved with BCCI. Meiyappan was also declared ineligible for participation in any cricket activities for 5 years by the panel. The panel clarified that the teams themselves are not suspended. It is just the owners who cannot run a team for the next two years. 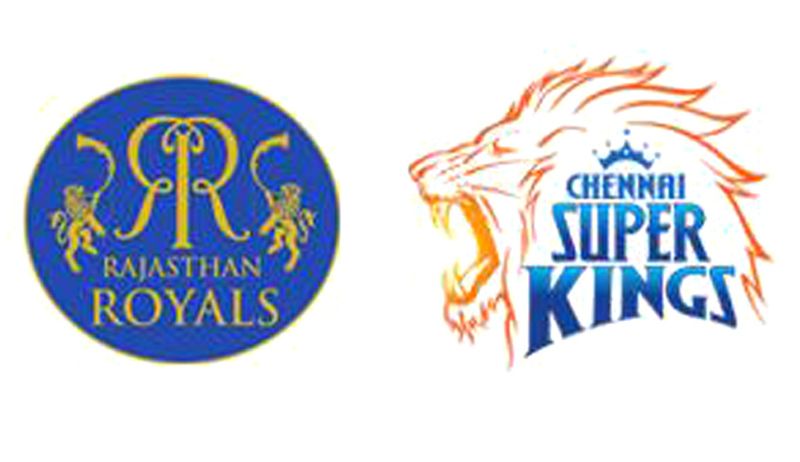 So perhaps if CSK and RR are bought out by other entities, they might be able to play. That hinges on the India Cements and Jaipur IPL Ltd's willingness to relinquish their ownership. Imposing the suspensions, Former CJI R.M. Lodha said, "Meiyappan was seen as the face of CSK. He ought not to have indulged in corrupt practices," He added that any person who has true passion for the game will never be involved in betting. "He is found guilty of betting, his conduct affected image of BCCI, the league and the game. He is suspended for life from involvement in any type of cricket matches," he said. If Meiyappan's reputation is tarnished, it is small compared to the damage done to cricket, Lodha said. Lodha said that Raj Kundra was placing bets through a known punter and was constantly in touch with bookies. "Rajasthan Royals have damaged the faith of BCCI and the sport and is found guilty of misconduct. He is declared ineligible from taking part in cricket for 5 years, and suspended for life from being involved with BCCI," he said. Raj Kundra acted contrary to the spirit of the game, he added. Further, it refused to let Rajasthan Royals shirk responsibility by saying that Mr. Kundra acted in personal capacity. The Committee proposed to impose sanctions on India Cement’s franchise Chennai Super Kings as well because no action was taken by India Cements against Meiyappan. The panel is undertaking further investigation into the conduct of IPL COO Sundar Raman, who was also accused of wrongdoing. “Vivek Priyadarshi has been appointed by the Supreme Court to look into it and he is examining the matter, we are awaiting his report. After that we will decide what will be the action," Justice Lodha informed. The Committee refused to comment on the criminal cases pending against the suspended officials. It further said that its observations with respect to the much-talked about conflict of interest in the BCCI would be given after completing interactions with various stakeholders of the game. "We have interacted with 40-45 people; we are yet to meet a few others. Once that is done we will decide what guidelines are to be given. Our idea is to get inputs from all stakeholders. It is not confined to cricket administrators and politicians," he added. When inquired about whether the panel considered the impact this ruling will have on the players attached with the two suspended franchises, Justice Lodha said the game is bigger than the individuals.